In today’s stream, we had our very first fishcoin reward stream! If you watch my stream live, you earn a point for every ten minutes you watch. There are ways to play games or gamble to earn more points, and on occasion we may also give out points (aka “fishcoins”). Once you earn enough fishcoins, you can redeem them for rewards. The lowest reward tier is 1000 fishcoins, and allows you to pick a country whose cuisine we have to cook from on stream. Our first fishcoin redemption was from a longtime viewer named Tulie, and she asked us to cook something from South Korea! 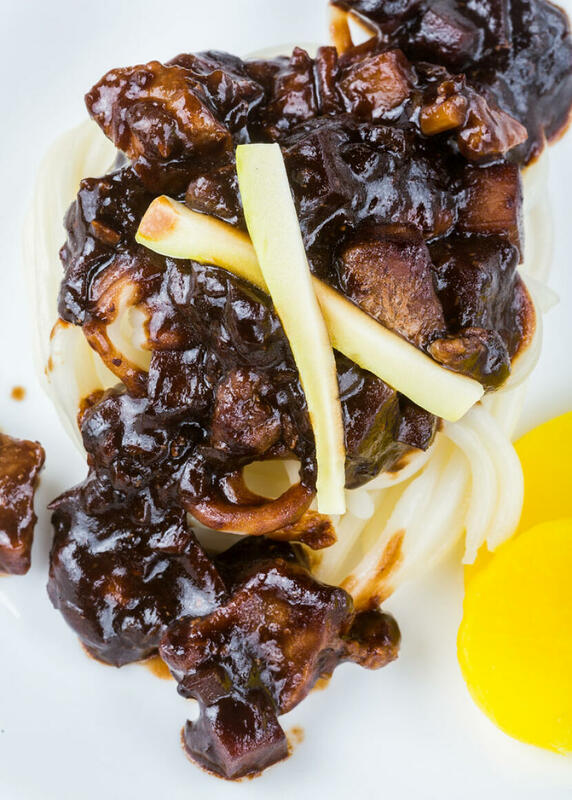 From previous chats, I knew she adores jajangmyeon (black bean noodles), so we decided to make that on stream. 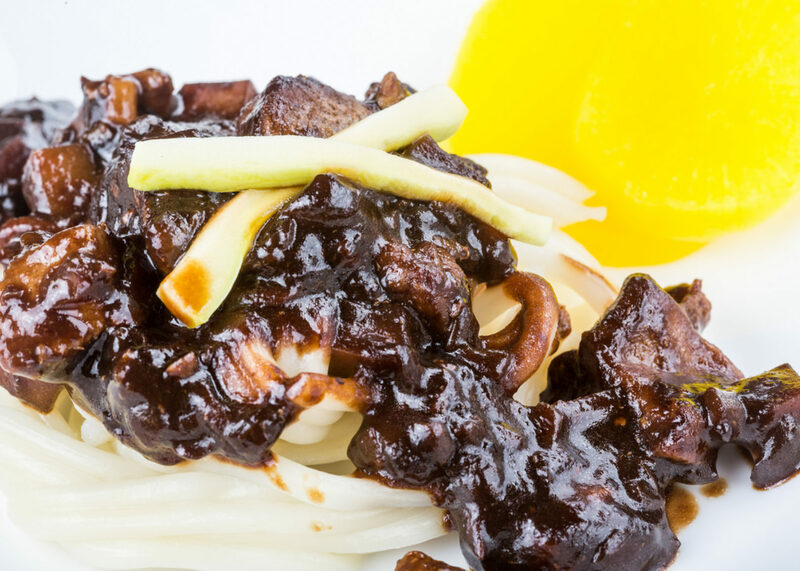 A few days beforehand, we decided to try out jajangmyeon at the H Mart food court, just to make sure we knew how it should taste. And to be honest… we were pretty underwhelmed. But we went through with the planned jajangmyeon stream anyways. And let me tell you… NO REGRETS. While the food court jajangmyeon was bland and uninspiring, our homemade version was delicious, flavorful, and full of meat and veggies. I doubled the recipe, and mixed a very small amount of stinky shrimp paste into half – which added even more umami to the dish. 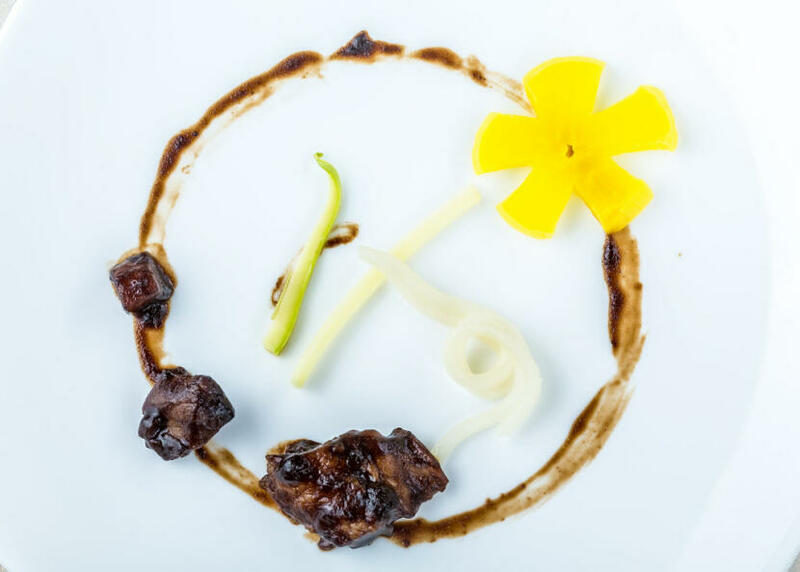 When buying ingredients for the dish, I wasn’t sure if I was supposed to get fermented black bean paste, or roasted black bean paste, but roasted seemed to have a closer name to the ingredient in the recipe. I went with this black bean paste, and was very happy with my choice. I’ve heard of other people using fermented with good results as well, so you can probably go with whatever’s available to you! Today’s Question of the Day: If this were your stream, and you had to choose something South Korean to cook, what would you pick?